Jacksonville State University – B.S. Philosophy: Fashion is a business! Associate Professor Deidra Arrington is a seasoned fashion professional with 20 years experience as an apparel, accessories, and beauty buyer and Divisional Merchandise Manager. She possesses extensive knowledge of retailing, the buying process, and the fashion industry. Deidra joined the faculty at VCU in 2004 teaching classes in fashion merchandising in the Department of Fashion Design + Merchandising including Survey of the Fashion Industry, Retail Math, Retail Buying Simulation, Line Development, Survey of the Luxury Industry, and Supervision and Management. As faculty, Deidra has contributed to the enhancement of the student experience through the development of the Summer Luxury Program, as YMA/FSF coordinator and mentor, NRF coordinator, and by serving as Interim Assistant Chair. Her areas of research include fashion economics, the luxury market, historical fashion influencers, and fashion show production and its impact on worldwide economies. Additionally, Deidra has contributed to several textbooks and articles and has work published in multiple books and journals. Deidra volunteers by serving on the board of the YMCA Chester, Virginia. She earned a Bachelor’s of Science degree in Business Administration at Jacksonville State University and a MBA at Virginia Commonwealth University. Hawa Stwodah (BFA, MFA) is a designer, illustrator, and educator whose career has spanned many sectors within the fashion industry. She has worked in the United States and the Middle East, collaborating with companies in Europe and Asia, consulting on experimental design development using innovative textiles for menswear, women’s sportswear/activewear, healthcare providers and a series of entrepreneurial endeavors for infant accessories. She produced illustrations for Fashionomics, a textbook published in 2012 and used as an instructional device at Universities in both the United States and Asia. After working in the private sector for a period of time she returned to VCU’s Fashion Design + Merchandising Department in 2005 working at both the Richmond and Doha Qatar campuses. Her design aesthetic is influenced heavily by traditional surface design techniques, the notion of layers: layers of materials as well as meaning applied to non-conventional mediums. She has exhibited internationally (DesignDaysDubai and Tasmeem International Design Conference) examining social behaviors through the lens of surface design. Her research interests lie in exploring and investigating ideas of identification and visual communication by the wearer and comprehension and visual appreciation by the viewer. Philosophy: Fashion is an art and industry. Fashion is an avenue in which many aspects of life and culture can be investigated, celebrated, and represented. Research Interest: My research interests include sustainable fashion and eco-fashion design education. 2011 Fifth International Conference on Design Principles and Practices, Rome, Italy. Paper title: Preparing Emerging Designers for the Eco and Sustainable Fashion Market. 2010 Dean’s Exploratory Research Grant; awarded $3000 to examine and determine how fashion programs need to address and analyze how the fashion industry’s reaction to becoming more sustainable will affect the content and instruction of what is taught to fashion students. Associate Professor, A.A.S., B.A., M.F.A. University of Virginia (B.A. ), Fashion Institute of Technology (A.A.S.) and Virginia Commonwealth University ( M.F.A.). Philosophy: I believe learning should be fun but challenging, and that students learn more who are active participants. I believe my job is to facilitate knowledge in diverse and creative ways and that the goal is for my students to be able to apply and articulate that knowledge in the real world. Research Interest: My research interest is in mid nineteenth and twentieth century fashion. Also, African American designers, styles, and the globalization of those styles. Associate Professor, B.S.S., B.F.A., M.F.A. Kristin Caskey holds a BSS from Cornell College, a BFA in Fashion Design from Parsons School of Design, and an MFA in Print/Media from Cranbrook Academy of Art. Caskey designed for for Arlequin Paris and Perry Ellis America in NYC. She was the associate designer at Urban Outfitters, in Philadelphia, PA. Her design career includes extensive work internationally. Caskey was project co-ordinator for Keepers of the Waters in China, an international environmental art initiative. Caskey has worked as a consultant and print designer for Heartfelt, NYC was consulting designer for Rockin’ Baby. Caskey is currently the design director for Kloth, a uniform company based in Toronto, Canada. Caskey’s studio work utilizes textile history, sustainable studio practice, and digital textile printing. Her work has been shown throughout the Mid-Atlantic and Mid-West. 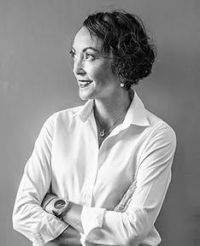 Her work includes Cultural Traveller, which won the Queen Sirikit Peacock Standard for Thai Silk, and A New Suit of Clothes, which won the ATEX Inc Award of Excellence in Marketable Textile Design. Recent projects at VCU include, three subsequent NEA Artworks Grants, one for Monument Avenue: General Demotion/General Devotion for $30,000 and two for “Recovery by Design”, pattern design and student workshops for conjoined twins Maria and Theresa Tapia of the Dominican Republic. Caskey was a partner in Ask for Comfort, a line of pediatric garments developed for oncology patients at VCU Health Systems. Caskey sits on the Board of Trustees at the Storefront for Community Design and is an active citizen of her inner-city neighborhood. A2RU Conference, Iowa State University, Ames, IA, “A Third Way, Arts and Health” panelist, presenter, and; “MoB Away Game” Interactive community engagement project. Cumulus Association, What’s On? Aveiro, Portugal. Paper presentation and publication, “mOb Studio, A Community Engaged Design Studio”. Co-written by Camden Whitehead. American Community Design Association, Emergence national conference, Detroit, MI. mOb + Storefront, 90 minute presentation, co-written with Ryan Rinn, Camden Whitehead and John Malinoski. 2013 VCUarts Deans Research Grant; awarded $7,000 to travel and research national models of community engaged design. Co-awarded with Camden Whitehead and John Malinoski. International Conference on Design Principles. Chiba University, Chiba, Japan. Paper presentation “MoB Studio, Community Engaged Design” Co-authored with Camden Whitehead and John Malinoski. International Textiles and Apparel Conference, New Orleans, LA. Paper presentation“MoB Studio, the Role of Fashion in Interdisciplinary Collaboration” and, paper presentation “Garment Design for Conjoined Twins”. 2011-12 VCU Community Engagement Grant, mOb + Storefront, $14,000 to pilot community-engaged design studio. Jarvis W. Jefferson was awarded the Bachelor of Fine Arts degree in Merchandising from VCU prior to beginning his career in NYC at the world’s largest department store, Macy’s Inc. Upon completing their Executive Training Program and working in their buying & merchandising functions, Jarvis transitioned into human resources and held a series of positions of increasing responsibilities including Director of Corporate Recruitment. In addition to staffing the company’s Brand, Media and Omni-Channel Strategy teams, he identified, acquired and assembled talented artists and creatives (painters, sculptors, woodworkers, costume designers, photographers, retouchers, graphic designers, set designers, copywriters) who developed and produced the company’s myriad of marketing collateral and materials, as well as Macy’s world renown Thanksgiving Day Parade. He has also worked for other such notable brands/companies as: Citigroup, Footlocker, Mercedes-Benz, Nine West Group, Tommy Hilfiger and Time Warner. Professionally, Jarvis’ expertise crosses the boundaries of multiple industries including retail/wholesale apparel & accessories, automotive, consumer packaged goods, financial services, and media & entertainment. As Assistant Professor/Visiting Artist in the Fashion Design & Merchandising Department, Jarvis is energized to impart his 35+ years of industry learnings, experiences and life’s lessons with VCU’s eager young talent, preparing them for entry into the workforce, whether it be in fashion, business, art or related industries. Research Interest: My research interest includes economics of fashion including fashion weeks, fashion shows, fast fashion and the fashion media. I am also interested in body image as portrayed by the fashion industry. 2012 Fashionomics”, The Role of Fashion in the Global Economy (unpublished manuscript) to be published by Prentice Hall publishers, 2011. Research Interest: Creative design in women’s and menswear. Philosophy: I believe that people learn more through solving real problems in real time (Action Learning) and I try to create learning environments that capitalizes on the application of new knowledge and creative problem solving. Research Interest: Action Learning and simulation experiences, buying behaviors, fashion as a mirror of the times, and cross cultural management. 2010 “Adventures in Action Learning”, Chapter in Action Learning and Its Applications,Author: Lex Dilworth. Published McMillan, UK. 2009 16th Annual Conference on Learning, Barcelona, Spain. Service Learning: Opportunities for deep learning in fashion design and merchandising education. Paper published. 2007 7th Annual Conference on Knowledge, Culture and Change in Organizations: Singapore,The Expatriation of Faculty versus the Expatriation of Management: A comparative analysis. 2006 Fairchild Books, Perry’s Department Store: A Product Development Simulation. Authors: Guthrie, Karen M. and Regni, Rose, J. (International). Michael Etto has been with the Department of Fashion Design and Merchandising since December 1998. Michael received his BFA from Virginia Commonwealth University in Crafts with a concentration in Metalsmithing. He runs a successful furniture and accessories studio, Mike Etto Studios, specializing in one of a kind furniture pieces, garden accessories and fine home accents. His work has been shown in galleries around the Richmond area and has been featured in several issues of “Richmond”, “Traditional Homes” and “Home & Design” magazines.